Dr. Heinrich has been awarded Guggenheim, Harvard, and Alexander von Humboldt fellowships for his work in the field of behavioral ecology. He has also been featured in the New York Times, on PBS, and is a recipient of the Laurence L. & Thomas Winship/PEN New England Award. He is currently an Emeritus professor at the University of Vermont. 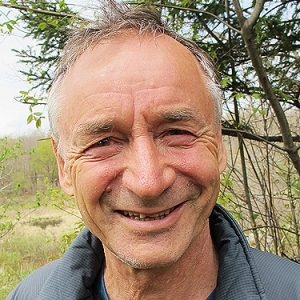 Dr. Heinrich has more than 130 research publications, including three in preparation, ranging in topic from orb-web spiders to sapsuckers and grouse. These works are among a long list of publications, including magazine and journal articles, book reviews, abstracts, and book chapters in his more than 40 years of work in the field. 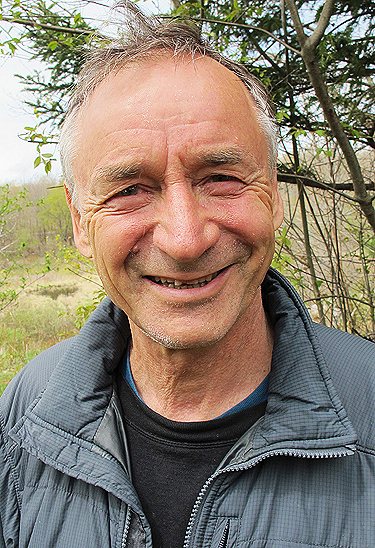 Dr. Heinrich’s extensive publication history also includes 20 books, including Mind of the Raven: Investigations and Adventures with Wolf-Birds, The Homing Insect: Meaning and Mystery in Animal Migration, Why We Run: A Natural History, Life Everlasting: The Animal Way of Death, and A Year in the Maine Woods. These books have been published by several well-known publishing houses, including Harvard University Press, HarperCollins, Addison & Wesley, and Houghton Mifflin Harcourt. Dr. Heinrich’s most recent work, One Wild Bird at a Time is scheduled for publication by Houghton Mifflin Harcourt in Spring 2016. Dr. Heinrich has a connection to Maine as he graduated from the University of Maine in Orono with his B.A. and M.A. in Zoology before getting his Ph.D. at the University of California, Los Angeles. Keeping Maine close despite his travels, Dr. Heinrich has a cabin in the western Maine woods where he sometimes conducts research. Along with this, he is a member of the Maine Running Hall of Fame and the Maine Sportsmen’s Hall of Fame. All are invited to attend Dr. Heinrich’s Oct. 28 distinguished lecture. For more information about this event, please contact the University’s Community and Media Relations Office at 207-768-9452.